The ideal cruise in the Greek islands is actually a crewed charter, either with just a skipper (skippered charter Greece) or with a captain, hostess and chef cook (fully crewed charter Greece). Contrary to the larger cruise ships that sail these waters, it is not only possible to rent just your cabin but you will also have the preferred option of a full charter or private charter. This version of the so-called crewed charter Greece means total privacy and full attention of the crew which will attend to only your needs and desires. Moreover, cruise ships are obviously much too large to enter those lovely littoral fishing ports and translucent blue bays, and invariably have to dock at the major commercial harbours instead. Yet, the small local villages are precisely the perfect ingredients for a cruising vacation such as a crewed charter. Furthermore, the ancient Greek monuments and temples are often found at great distance from the commercial harbours and instead of going on an excursion with busses and taxis it makes more sense of course to sail towards that particular spot yourself (the majority of archaeological sites can be found along the coasts of Greece and the Greek islands). In Greece you will have three options for a fully crewed charter. The crewed charter greece option of a regular yacht, such as a catamaran or Jeanneau or Oceanis yacht. The luxurious powerboats, superyachts and megayachts. The crewed charter greece option is the most popular one, since it is only marginally more expensive than a bareboat, but still gives you the freedom of exploring all the islands by yacht. This form of crewed charter is however less luxurious than a gulet cruise - air-conditioning is rare for instance. But this of course what makes a regular crewed charter in Greece so affordable. More on the concept of crewed charter Greece. The best starting ports for you sailing vacations are the usual suspects: Athens, Kos, Lefkas, Corfu and Rhodes. But you should also look at Samos, Syros and Paros. 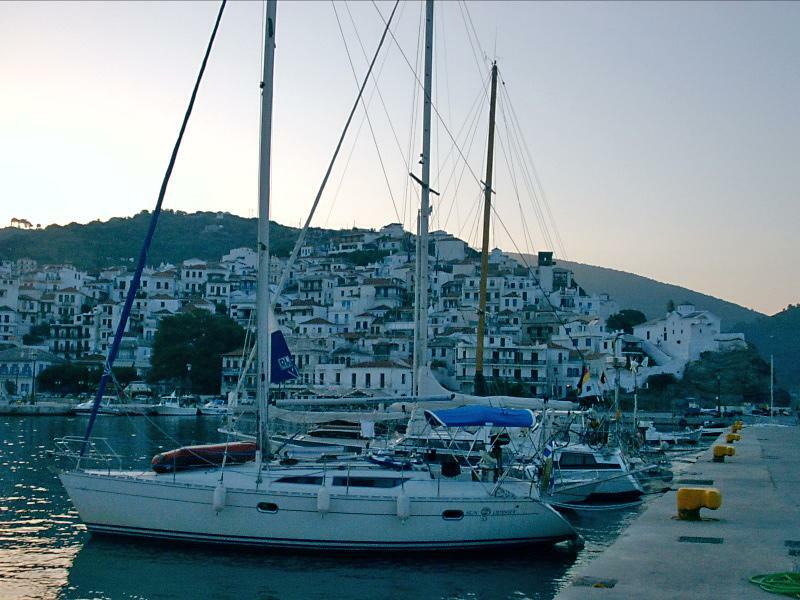 Furthermore, a crewed charter from Paros is recommended due to its location close to Santorini.